In November, Switzerland's Federal Council stated that a new Money Gaming Act will come into force on January 1, 2019. The law was originally passed by parliament in September 2017 and then was approved by a public vote in June 2018. It will set up a new regime for gambling in the country, including online poker and casino games, which were previously not legal. Beginning Jan. 1, firms will be able to submit their license applications for internet gaming, and the first licenses are expected to be issued six months thereafter. In truth, the Swiss government's new online gaming law seems to be a pretty curious beast. For a people that are famously in favor of personal liberty, this referendum seems to poke a surprising number of cynical camel's noses into the tent of freedom. Approximately 73% of the Swiss electorate voted in favor of the proposal in July despite the dire warnings of freedom and privacy advocates. What the proponents apparently like about the law is that it opens up the Swiss market to a regulated (and therefore presumably honest) online gaming industry. The profits from this great leap forward are properly spread around in the best logrolling "sop to special interests" fashion. First off, all operators must hold a Swiss license. Offshore operators will have to partner with local companies in order to gain access to the market, so this will create more jobs inside the Swiss economy – or so it is claimed. Most likely, the number of jobs will be minimal at best since there is not a lot of need for human staffing in an online environment. The Stars Group and Playtech have already announced that they have reached arrangements with local casinos to bring online gaming to the Swiss masses. However, their plans might be derailed by verbiage in the Money Gaming Act that stipulates that any foreign corporation that teams up with a Swiss concern for the provision of gambling products must possess “a good reputation.” Similar to “bad actor” clauses in the United States, what constitutes “a good reputation” is very vague and is probably up to the discretion (and interest) of the authorities. Gambling Addiction Worries in Play? 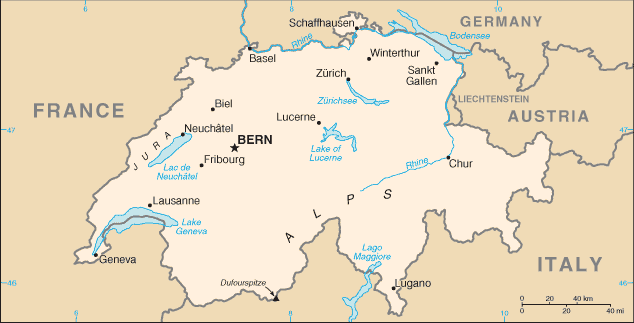 The Swiss Federation has apparently and suddenly discovered that the country has an acute gambling addiction, which requires more money and jobs for treatment programs. Of course, they start out in their fight against gambling addictions by opening up even more avenues for the addict to seek their fix, which seems a little counter-intuitive. Still, some new positions for those academic layabouts who hold useless liberal arts degrees are undoubtedly on offer. Speaking of the problem for which this solution is being touted, the level of online gambling addiction seems to be on the order of 250 million Swiss francs per annum (each Swiss franc is worth approximately the same amount as 1 U.S. dollar), according to pro-referendum sources, which doesn't seem like a big problem even in a small country like Switzerland. With a population of 8.5 million, this works out to about 29.5 francs per head: hardly anything worth getting up in arms about. Incidentally, Switzerland's per capita gross domestic product is in the ballpark of $61,000 a year: good for a top-10-in-the-world spot according to most lists and several positions higher than the United States. It should be interesting to watch how much money is diverted toward make-work intervention programs in order to counter this tidal wave of depravity. Our guess is that the payouts to social workers will soon prove to be a far more costly addiction than that of the people who can't stop rolling the bones. Another payoff from the pool of profits comes in the form of a dedicated contribution going into the Swiss retirement fund every year. This is a pretty typical sort of carrot that is offered by almost every referendum proponent in order to rope in some voters that would otherwise not be in favor of whatever proposal they are pushing. A lot of people simply don't care one way or the other, and this is how they get bribed to say "Ja" rather than "Nein". Most often, however, these dedicated funds are often paid IN PLACE of already-allocated funds from other sources, which will soon be quietly diverted to other government priorities. The voters expect additions above their current funding levels. The government probably plans on quiet subtractions and a zero-sum outcome. As for those who opposed the initiative, there seems to be ample grounds for their claims of privacy losses. The first thing that comes to mind is that the Swiss are saying that you must have a Swiss-issued license in order for you to operate an online gaming establishment in Switzerland. The fear of the anti-initiative crowd is that this will lead to a significant erosion of the right to browse the internet as you'd like rather than as the government would like. How, for example, is the government going to keep offshore operations out of the Swiss market without some sort of intrusive monitoring of what Swiss citizens are doing online? Are they going to erect the Great Firewall of Swiss Cheese to prevent foreign firms from accessing Swiss IP addresses? Are they going to prevent Swiss internet addresses from accessing foreign gambling sites unless they are on the government's own approved list? And what will be the consequences for some Swiss gamer who visits the wrong site? Swiss law enforcement doesn't have the same reach as the U.S. Treasury Department, so their ability to shut down or otherwise distress foreign operators is actually pretty limited. Given the relative impunity with which offshore operations can defy Swiss regulations, the only realistic alternative is to track the activities of the locals. It should also be noted that the new Swiss referendum restricts the stakes in the regulated games. For poker, the highest allowed tournament buyin will be about 200 bucks while the total tourney prize pool is capped at around $20,000. This raises a couple of interesting questions. First off, rich people will resent playing for what are, in their eyes, small stakes and are likely to take their business to some more welcoming, albeit not Swiss-approved, online poker site. On the other hand, a $200 limit is plenty big enough to ruin the horde of middle- and lower-class online gambling addicts that the Swiss referendum claims to be so concerned about. This exposes the hypocrisy of the whole scheme. The proponents aren't actually any more concerned about gambling addicts than they are about the solvency of Swiss retirement accounts. What they are truly concerned about is the ability to use legislative fiat to restrict their competition's access to the lucrative Swiss gambling market. Once other operators have been shut out of this proposed penny-ante game, the $200 limit on wagers will go overboard and the few licensed players will soon be running unlimited tables and using the powers of the government to spy on anyone who might not be patronizing their own establishment. It is of course also true that the Wild West of internet gambling is undoubtedly in need of an honest cop keeping an eye on the croupiers. This is the underlying rationale for the recent outburst of localization proposals that are sprouting all over the planet. Yet these quite understandable urges to protect the too-trusting citizenry always seem bound up with a gaggle of well-connected rent-seekers who wish to use a smoldering crisis to advance their own seedy self-interest as part of the price of reform. Fighting online gambling corruption by localizing and institutionalizing it does not truly seem like the right solution at all. A better idea might be to follow the example of Sweden. Its recently passed Re-Regulated Gambling Market bill allows plenty of overseas competition without the need to set up shop within Sweden, and while it does contain responsible gaming elements, they stop short of mandating a restrictive max on bet sizing. The market has spoken as more than 75 operators have filed their paperwork to obtain Swedish gambling licenses. 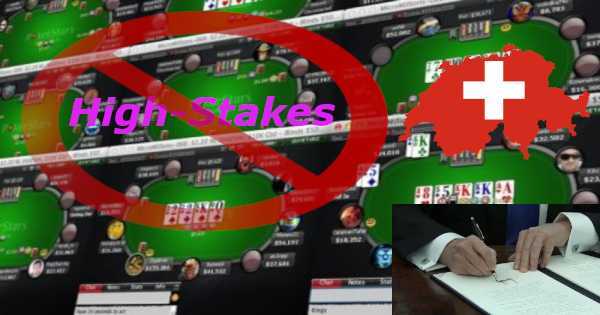 The history of government blacklists of gambling sites is one of incompetence and ineffectiveness. Though most endeavors in Switzerland might run like clockwork, we imagine that the blocking of foreign websites will not be one of them. It's therefore highly likely that Swiss residents will still be able to access these sites regardless of the wishes of the government. For anyone in Switzerland looking to conduct real money wagering over the internet, we highly recommend Sportsbetting.ag, which is pleased to welcome Swiss customers through its virtual doors. It has a sportsbook, casino, poker room, and several other betting divisions. New poker players get a 100% up to $1,000 bonus on their first deposits. Read our Sportsbetting Poker review for further information.